Full of blossoming arts, high-end and high-rise condos occupied by expats, and a rich culinary spectrum, Kota Kinabalu will easily become a favored destination for all types of tourists. This fascinating city that is the capital of Sabah, Malaysia is widely known for their beautiful beaches with breathtaking sunsets. Their tempting local cuisine and entertainment scenes that involves art and music keeps all visitors of any age richly entertained! It is also home to the illustrious Mt. Kinabalu, one of the most popular mountains for trekking fans out there. With all its highlights, who would’ve known that this impressive city is also a home to several captivating golf courses? 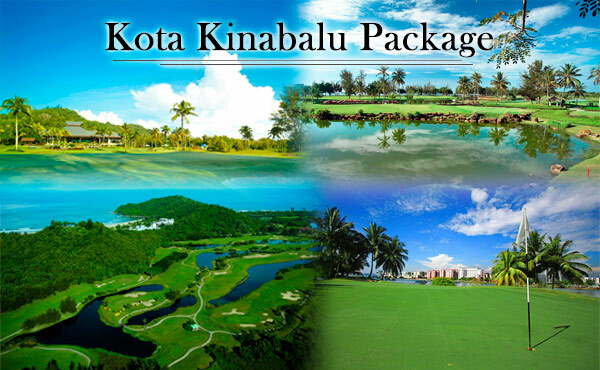 Here at GolfPackages, we are offering you a 4D and 3N package for you discover Kota Kinabalu’s rarest gems for golfers. 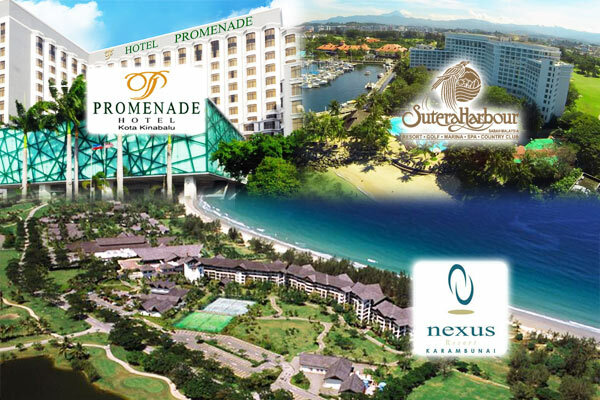 This is your opportunity to experience playing at the top courses in Kota Kinabalu. The first course included is the Dalit Bay Golf & Country Club. This 18 hole championship golf course is operated by the well respected luxury company, Shangri- La. 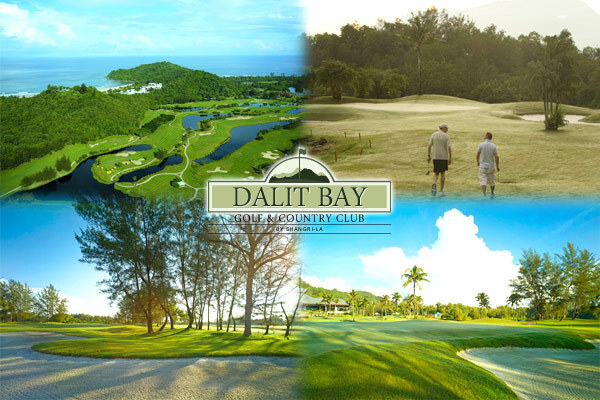 Dalit Bay was designed by Ted Parslow and contains some of the most lovely, serene and pristine fairways. It perfectly balances beauty and difficulty proving to test even the greatest golfers skills. You will find this course riddled with numerous hazards and assertive holes. In addition to the outlay, the entire course overlooks the magnificent views of the glorious Mt Kinabalu, which ensures you leave with a the most positive lasting impression. Your golf journey continues onward with a round at the Nexus Golf Resort Karambunai, which was cleverly designed by Ron Fream. This 18 hole, par 72 championship course was created with the intention of bringing out the very best from every golfer. You will find extra effort and well thought-out strategies are required to successfully conquer the waterways, tricky bunkers, and dogleg holes. Nexus Golf Resort Karambunai promises stiff competition and panoramic views over lush green landscapes. Your Malaysian adventure ends on a 27 hole course designed by Graham Marsh set over, yet again, amazing terrains that are suitable for any golfer. 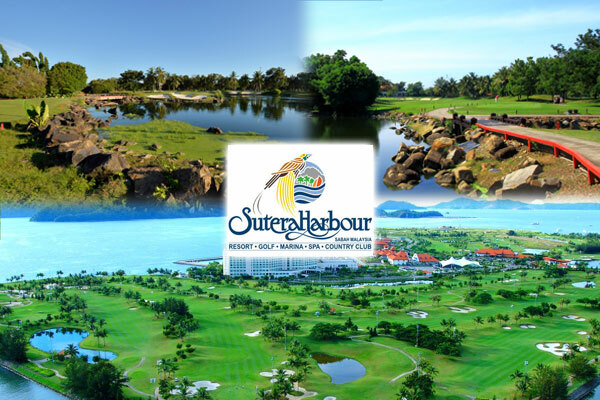 This course is the Sutera Harbour Golf and Country Club is an award winning golf course containing well maintained undulated greens, challenging bunkers, and numerous waterways. It is the most modern of the 3 courses and instead of mountain views, you have the opportunity to overlook thrilling views of the city of Kota Kinabalu. We are offering you three options of accommodation to make your stay at Kota Kinabalu a most relaxing and enjoyable one. 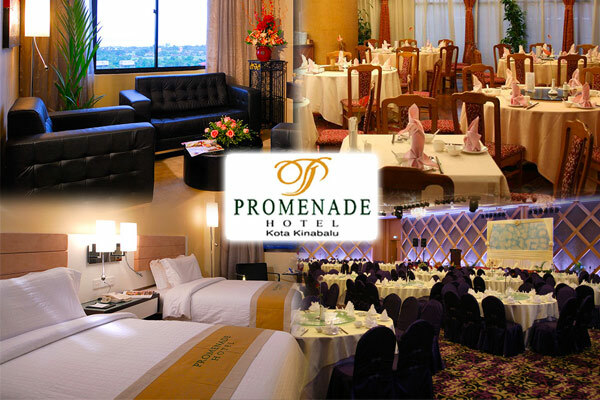 First on the list is the 4-star business hotel, Promenade Hotel. With 451 spacious and comfortable guestrooms and suites. Enjoy some leisure time at the outdoor pool and fill up your empty stomachs at the 2 restaurants located right at the hotel sight. Several shopping markets like Plaza Wawasan and Imago Shopping Mall are just a 5-7 min walk away. Feeling touristy? The well known Sabah State Mosque is also 23 min walk from this hotel. 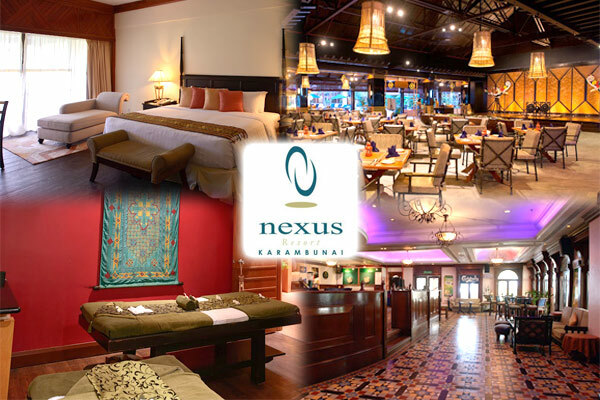 Nexus Resort Karambunai that is home to one of the courses included in this package is another option to stay at. This beautiful hotel has been rated by many as a 5-star resort with 485 guest rooms, a full service spa, and their private printing beach exclusively for the resort guests only. It features 3 outdoor pools, complete fitness facilities, and 8 noteworthy dining options that serve local and Asian cuisine sure to satisfy and impress all! 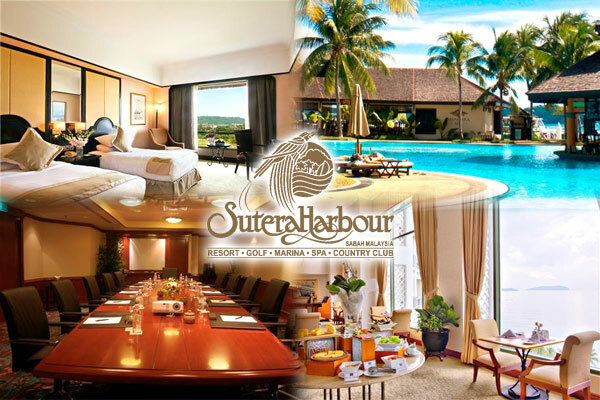 Last but definitely not the least is the Sutera Harbour Resort. This 5-star resort offers you a total of 500 luxurious guest rooms and suite rooms. Excellent customer service and superb amenities await you here as supreme satisfaction and comfort are their main priorities to offer their guests. Enjoy the fantastic view of the tropical islands of Sabah and Mt. Kinabalu or take a quick 20 minute drive for sightseeing! The nearby attractions like Sabah State Museum and State Mosque help make this hotel a favored one. Note: Minimum of 4 players to avail the rate. There are a lot of flights available going to Kota Kinabalu from Manila which will only take for at least 2 hours. You may choose from Cebu Pacific, Air Asia and Royal Brunei depending on your preferred travel schedule. 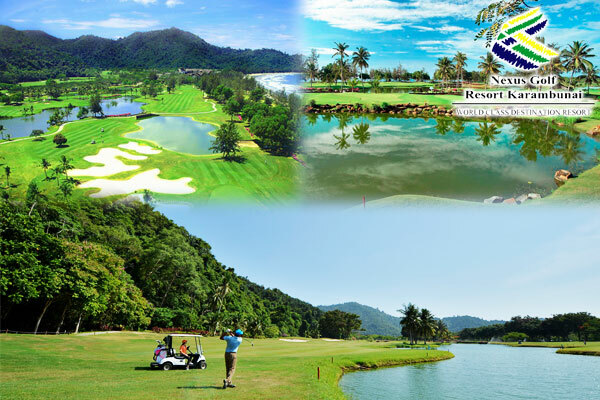 Do you need a customized golf vacation to Malaysia? Send us an inquiry at inquiries@golfpackages.ph we are happy to serve you!